We all know that almost all iOS mobile devices have great cameras. Ok, maybe the older devices like, iPhone 3G or iPhone 4, have maybe less quality cameras, but using various photo editors they can create cool photos. Nevertheless, today we will present iOS app that will make your photos even better and cooler, no matter which iOS device you own. Pictastic Photo Editor is new photo editor, it was released 3 days ago on Aug 28, 2013. When I installed Pictastic Photo Editor and started using it, I felt instant attraction to it. It is simple to use, the UI is intuitive and the app is fast with no lags. So, lets go through the features of Pictastic. It has the basic Photo Editing. Like I said, everything is nicely organized and fast. You will edit your photos in no time. The standard editing features are all here. You can export square photos in great 1280 x 1280 resolution, and you can crop in different ratios, not only square. You can add Text to your photos. 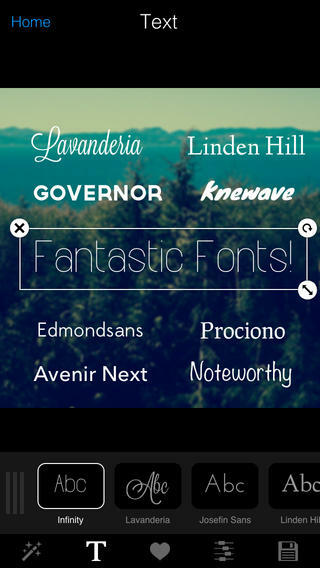 The app will offer you huge selected font collection to choose from. I got to admit that the developers have taste, because most of the fonts are really beautiful. Also, they offer you more than 100 inspirational quotes and captions. There are also the Doodles. You can have fun and add doodles from Pictastic selection and send and share them on the social media. You can also enhance your photos with the automatic and easy to use adjustment tools. All standard adjustment tools are included. Like I expected, every photo that you edit you can save and share on the social media networks. With the interesting photo editing features like the text and doodles we are sure that you'll start getting more likes and favorites on Facebook and Twitter. Everyone has an online account that poses the same series of personal questions for identity verification in the event of a forgotten password: the city you were born in, your mother’s maiden name, the name of your first pet, etc. In an increasingly large number of cases, the answers to these questions can be found by briefly researching a potential target’s social media profiles, and those of their friends and immediate family. If a criminal happens to uncover your login name, they may be able to successfully answer the account’s verification questions, create a new password, and then access your account and steal valuable information. The Internet has certainly revolutionized the market reach for smaller, regionally-isolated businesses, but this economic boon comes with a few considerable side effects, not the least of which is the possibility of someone opening a new vendor account in your business’s name and running up several thousand dollars in credit. This is particularly dangerous for small business owners that have robust social media profiles, since much of the owner’s personal info will overlap with the business’s, and can be used to sign up with new vendors online, especially if the owner is the primary purchaser of goods for the business. Something that many first time homeowners are commonly unaware of is how easy it is for the public to discover the owner of a particular piece of real estate. But a quick search through a county’s assessor office will legally reveal all the relevant property tax information for a specific address, including the deed’s owner. Combined with the information from a homeowner’s social media accounts and a standardized lease agreement that can be found online in moments, this makes it possible for scammers to list your home as a rental property on sites like Craigslist, the goal being to collect security deposits or application fees from aspiring tenants online. Fake rental listings are a relatively common occurrence these days, but this kind of scam is made more effective when a criminal actually uses a genuine address and poses as the actual homeowner, with personal info from social media accounts helping to enhance the scam’s authenticity. These days, most people are careful about what kind of photos and information they reveal about themselves on their personal social media accounts, conscious of the fact that their public image may have an impact on their employment. However, people have no control over another user’s content, and are unable to stop a stranger from posting potentially damaging personal information about someone else. Combined with the fast, viral-like spread of digital media that is common among social media platforms, this creates a powerful tool for personal blackmail. Criminal records, information on romantic partners, personal legal situations, sensitive or potentially embarrassing medical info, and much more have been used in past cases of personal blackmail, and the popularity of social media accounts means that a potential blackmailer can upload information about you on a freshly created, anonymous account, then have the images or files tagged with your name, allowing them to be visible to anyone searching for you, even though the actual profile isn’t in your name. All the major social media platforms have a method of recourse for users who complain about inappropriate data being shared without their consent, but the considerable length of time it takes to successfully close an offending account can be more than enough of a threat for blackmailers to utilize. In many cases that fall under these 4 scenarios, the very information that is commonly sought after by criminals—personal photos, employment information, family history, images of your home, and more—are the very things that people are passionate about sharing through social media. Unfortunately, unless you plan on excluding yourself from social media entirely, there isn’t a surefire method to prevent a criminal from using your information illicitly. However, by being as careful as possible with the information you upload, frequently checking your financial accounts for suspicious activity, and using a wide range of unique passwords and user verification questions for your important accounts, you can go a long way towards monitoring the safety of your digital life, and potentially head off any trouble before it becomes damaging. John is a blogger who frequently discusses the intersection of modern technology and identity theft. He writes for protectyourbubble.com, an Internet insurer that can help protect your identity, whether you’re a social media enthusiast, small business owner, privacy-minded citizen, or anyone else. This app lets you make short GIF files with your smartphone’s video recording capabilities, add an impressive amount of animations and effects, and then share them through its network. Similar in function to apps like Cinemagram or Vine, what makes GIF Camera stand out is its extremely easy-to-use interface and—for those inclined—its lack of focus on social-media based uploads. colorful and whacky formats, but Paper Camera is an app that actually lets you apply this kind of filter before you take the picture, transforming anything in your smartphone’s viewfinder into whatever format you select. If you’re interested in seeing what the world looks like as a living cartoon, this app will definitely impress. This app gives you several camera displays at once, letting you simultaneously take up to 6 pictures from different angles. If you’re looking to capture a more natural-looking shot of a loved one, or you’re interested in generating a lot of content in a hurry for a collage or slideshow, Multi-Lens Camera can definitely help. One of the smartphone apps that comes closest to simulating some of the features of a professional model, Pudding Camera gives you a variety of aspect ratios, shots, and subtler effects than the more comical apps offer. If you’re actually looking for a decent suite of imaging tools—rather than something that makes your shots look like photos from a 1940’s newspaper—then this app is for you. True to its name, Silent Camera lets you take shot after covert shot without the sound effect of a shutter going off. If you’re always trying to get a picture without a friend or family member posing beforehand, or you’re simply looking to be more courteous with your smartphone sound, this app does a great job of letting you shoot fast, quiet photos at a moment’s notice. These apps are just a small sample of what’s out there, so if anything here strikes your eye, there will inevitably be a dozen more with slightly different variations or features that you might enjoy more. If you stop holding your smartphone camera to the same standards as your 20 megapixel Canon, you’ll find it can be a very serviceable and enjoyable tool for when you don’t want to lug your standalone digital somewhere. John is a blogger who always takes horrible photos when he’s in charge of the camera, but can still recognize good software when he sees it. He writes for Internet insurer Protect Your Bubble, who can help protect your smartphone from drops, spills, and all the other damage that can occur when you’re trying to get the perfect shot of something. No case will be perfectly suited for every need, so it’s important to take stock of your daily smartphone use and determine what’s best for you. Cases can provide extra battery juice, make certain functional tasks easier (such as equipping a Bluetooth keyboard, or attaching your phone to your car’s dashboard to utilize the wide range of driving-based apps), protect your smartphone from falls or liquid spills, or simply be used as an additional form of decoration. With the wide range of case models out there, it can be extremely easy think you’ve found the perfect fit in a store, only to later find out that your volume or mute button is actually obscured. Most cases will actually have a long list of compatible phones on the package, so even though you see a “Samsung Galaxy approved” statement on the front, make sure that it actually supports your new S4 and not just the S3. Although it’s rarely the most chic, rubber is one of the safest components to make a smartphone case out of. If you don’t want your device swaddled in it like a diminutive batman costume, you should at least opt for something that has a bit of rubber on the interior and/or exterior corners. This will greatly increase the odds of your smartphone surviving a long fall to the harsh, unforgiving pavement below. It’s no surprise that 1st party accessories are the most expensive on offer, but many of us still go to them first out of brand recognition. While you’ll certainly be getting your smartphone the best case available on the market that way, you may get taken advantage of a bit also. There can be an incredible price difference between various smartphone models from a particular supplier, and even a great deal of variation between phones of the same model. Storage space, camera quality, and a multitude of other features means that a particular smartphone model can run anywhere from $400-800, with some going higher. And—as you’ve inevitably learned from other consumer gadgets—when you buy something 1st party, you’re always going to be paying for the highest possible bracket, regardless of the fact that your particular phone might not have 4g capabilities and the largest possible hard drive. So while an $80 case might be just fine for the higher end models, you probably don’t want to spend a quarter or more of the value of your smartphone just on something to stick it in, and may be better served by seeing what a few 3rd party manufacturers have to offer. Beyond all of these considerations, the most important thing is to find something that you’re actually comfortable holding on a daily basis. It’ll encourage you to always keep your phone protected within it, and might actually save you a costly repair charge one day. John is a blogger who has dropped and chipped every single phone he has ever owned, even going back to the landline handset he had in his dorm in college. He writes for protectyourbubble.com, an Internet insurer that can help protect your smartphone—including Samsung’s new Galaxy S4—from all the damage that your case can’t stop. Finding dates or meeting new people can be hard sometimes. Especially if you have problems in personal communication or you are a shy person. 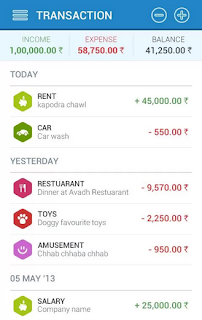 Today we are going to present you an app that will help you in meeting new people near you. We are talking about the iOS app Halfeet, which is completely free and available on the App Store. First and the only thing you need to do to use it, is to register and make your account. After that you can see the profiles of the people near you and start chatting with them. After you select certain person you can follow her/him and thus add her/him for friends. Also you can see her/his picture and some personal information like height, weight or even blood type. You can also edit your profile and add even more information. This is great, because it will help you to find people according to your tastes and beliefs. The app also has search in it. So, you can search for people yourself and set various filter parameters like: age, gender, last seen online etc. After you find someone who will respond to you and who wants to communicate, then it is easy. The app will enable you to send text, pictures and emoticons. Halfeet also will enable you to put certain annoying people to blacklist so they won't bother you any more. You can put password so no-one can enter your account. Also, you can see who was viewing your profile and start the conversation first. The app itself is fast and nicely designed. The UI is intuitive, you will get the up fast and you will start using its features very fast. It support any iOS device with iOS 4.3 or later. Also, the app supports over 30 languages, which is another great feature of this quality dating app. So, what are you waiting for, come join Halfeet community and start having some fun with people nearby. Download it for free here. Every business professional gets tens, even hundreds of e-mails daily. Organizing, going through them and managing them can be really annoying and boring. Especially, the viewing and reading of emails on your phones can be really frustrating. The problems are even bigger if you have multiple accounts on various email providers. Tap Mail will definitely make your e-mail communication much easier and simple. TapMail will give you support to sync mails for many mail services like Gmail, Hotmail, Yahoo, Outlook and iCloud. Also, you can effectively manage all your messages. The standard tags are all here and you can classify all your email by simply dragging them to the left. Also you can create different folders for every email you receive, which will definitely improve your productivity and efficiency. The feature that I personally liked the most, and the reason I'm using TapMail is that it has universal inbox. So, you can receive emails from different email accounts in one inbox. That is pretty useful for people like me who have various email accounts. This feature is called unified accounts. Also, there is a feature to mark all emails as read or unread, and you can change the thread view. Using the "Alias" feature will help you to separate your personal accounts from your professional accounts. Another interesting feature of TapMail is that you can see the pictures of people that are sending you email. This looks great on your phone and makes the app even more compelling. The user interface is smooth, friendly and intuitive. Everything is fast, easy to understand, manage and simple. The developers did a pretty nice job, I got to admit. 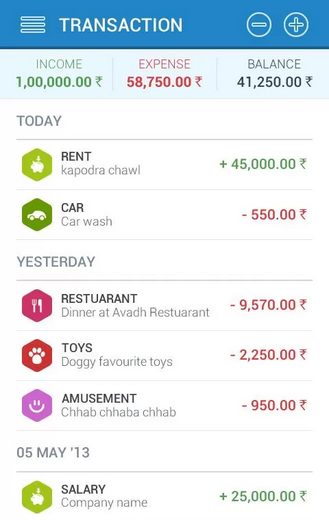 The app is available on App Store and the developers are working hard on improving the app and even adding few more quality features. So, don't hesitate and try this great app on your iPhone, iPod or iPad. When a new entertainment medium initially hits the market, the cost is usually higher than whatever the status quo happens to be: an album’s worth of legally-obtained mp3s used to cost more than a physical CD, e-books were pricey extras that had to be read on your computer, and video streaming of any kind was expensive and, in many cases, unreliable. These days, there’s no shortage of premium television on offer from the cable networks: shows like Breaking Bad, The Walking Dead, Justified, and countless others are constantly pushing the envelope of what serial dramas are capable of. In addition to having a darker, more adult tone than broadcast dramas, cable shows are frequently shorter than their more mainstream counterparts—a typical CBS drama will have a yearly total of 22-26 episodes, whereas a cable drama will produce somewhere around 13. However, if you’re looking to buy a season of cable drama on DVD or Blu-ray, you’ll find that the in-store price is usually comparable to the shows that have double the episodes per disk, not giving you a price break for something that is only half as long. Buying the same season digitally and streaming it through Amazon, Google Play, iTunes, or several other outlets will give you a direct savings per episode. At $1.99 a piece for standard-quality television episodes on Amazon, a 13-episode run will only set you back $26—even less when there’s a season pass on offer. Compared to the $39.99 and up that you’ll pay in a store, digital is clearly the way to go. With several blockbuster movies being made every summer that are based on a comic book script, the medium is starting to see a resurgence in mainstream popularity. Combining this new interest with the crisp, HD screens of modern tablets has led to the rise of the digital comic, making countless series and back issues instantly available at your fingertips. In addition to this massive library of offerings, back issues typically sell for $1.99 each—half the cost of picking up a current issue from your neighborhood comic store. Because of the relatively cheap cost of paperback printings (as well as a significant portion of the public still enjoying the act of buying a book in a store), trade paperbacks are usually competitively priced with their digital counterparts. However, one area where e-books are clearly the cost-effective option is with new releases of popular novels. A hardcover edition will typically set you back at least $19.99, with many books weighing in at $24.95 and beyond. E-books of recent releases are typically under a time-sensitive price markup that pushes them beyond their final price of $8-10, but even a day-one purchase will only set you back $14.99 or so. Also, this practice isn’t undertaken by every publisher—many books will have a $9.99 or less digital version available while their hardcover editions grace the shelves of a Barnes & Noble “What’s New” section. In addition to its cost effectiveness, digital media is easy to replace or re-download, can be accessed from a variety of devices, and doesn’t need to be physically stored in a home or moved with your other belongings. There will always be a place for collectors who wish to have a physical, tangible product in their hands. But if you’re looking to save some money while still getting access to great works of art and entertainment, digital media will help you build your library on the cheap. John is a blogger who still loves going to the bookstore, although he buys at least half of his books digitally now. He writes for protectyourbubble.com, an Internet insurer of smartphones, tablets, PCs, and every other gadget that will let you access the expansive world of digital media. They say parenting is one of the hardest jobs in the world, and indeed that is 100% true. Parents who get scary fast, want to control their children and are overprotective are not freaks. They just love their children too much and want to stop bad things from happening to them. Also, some kids are making great expenses on their phones, playing too much games and messing around, so parents often end up with massive expenses and nervous situations with their children. - Set predefined times to be informed of the location of your child's phone. - Set time restrictions to limit use, eg: during school hours. - Prevent your child texting and driving, without killing their phone's battery. - Block incoming calls and texts. - Monitor alarming text messages. 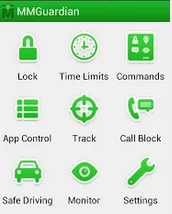 - Control which applications can be used, and when. - Receive a daily report on your child’s phone usage. You'll need to install it on your child's phone. Then you'll need to add your phone as an Admin. Then you'll need to register with your e-mail address and set your parent password. That is it, after that you can try out the multiple features we mentioned before. It’s getting to that time of the year when all tech enthusiasts and geeks alike anticipate big announcements from Apple. Speculations over the next installment of Apple’s flagship phone are already rife over the internet. Recent reports cites that the iPhone 5S will be unveiled in the big Apple event on September 10. And considering the Cupertino giant’s launch cycle, we are looking into an iPhone with the same design but different internals – the iPhone 5S. It is likely that the this new iPhone will have the same screen size as the previous model. The 4-inch screen will of course feature Apple’s proprietary Retina Display branding, but there are talks that it will have a higher display resolution compared to the current 324 ppi. Under the hood, a faster A7 processor will keep things ticking over this brand new masterpiece. Its optics will have a 13MP (or 12MP) rear camera with dual-LED flash will keep mobile photographers drooling. And with the inclusion of an f/2.0 aperture will keep its low-light performance on a par with the likes of the GS4. Other features include the addition of an NFC (Near Field Communication) radio, a slightly juiced-up battery and a fingerprint sensor on a convex sapphire home button. Design-wise, Apple will stick to the old iPhone 5-ish design philosophy. However, as revealed in this blog post this time, the company will offer another colour option – champagne gold. 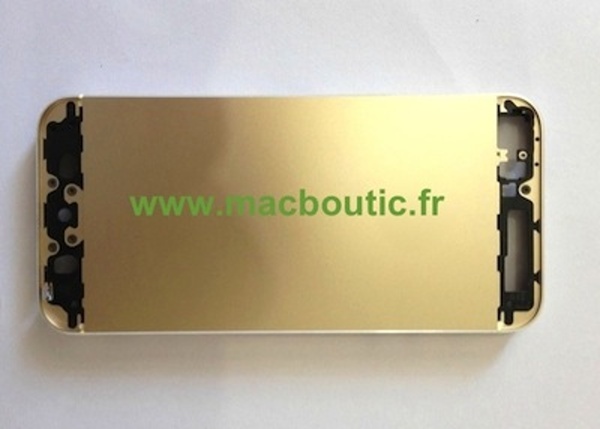 Apple is also slated to drop the 16GB configuration in favor of 128 GB internal memory for the iPhone 5S. Alongside the iPhone 5S, the Cupertino-based company is also expected to release a cheaper phone called the iPhone 5C. This budget-friendly phone will have a plastic casing and a slower processor to compensate its price standpoint. It may not have SiRi, Apple’s virtual assistant and other 5S-ish aesthetics. Consequently, the price is pegged to be in the range of iPhone 4. It is said to carry most of the iPhone 4S specs like 1GHz dual-core A5 chip, 8MP rear camera and 512MB of RAM. These phones will be treated with the newer version of Apple’s proprietary software called the iOS 7. This version is expected to wash off the skeuomorphic appeal of the older versions with its flat and simple design. The iOS 7 is also loaded up with impressive features and controls like the control center where you can toggle your mostly used settings like Bluetooth, WiFi, etc. Likewise, the newer OS will also bring overhauled app icons in your homescreen. Apple is also rumored to have the brand new iPad with a mini-inspired design, a Retina iPad mini and a Haswell-powered MacBook Pro in the fourth quarter of this year. We all have been in situations where we accidentally deleted some file that we later needed, or there was some bug, virus or even theft from our devices that caused deleting the whole data. Most of the people get depressed after such events. My friend lost 14GB of photos that he taken in period of 5 years, he was devastated, but with Disk Drill he recovered his data in no time. 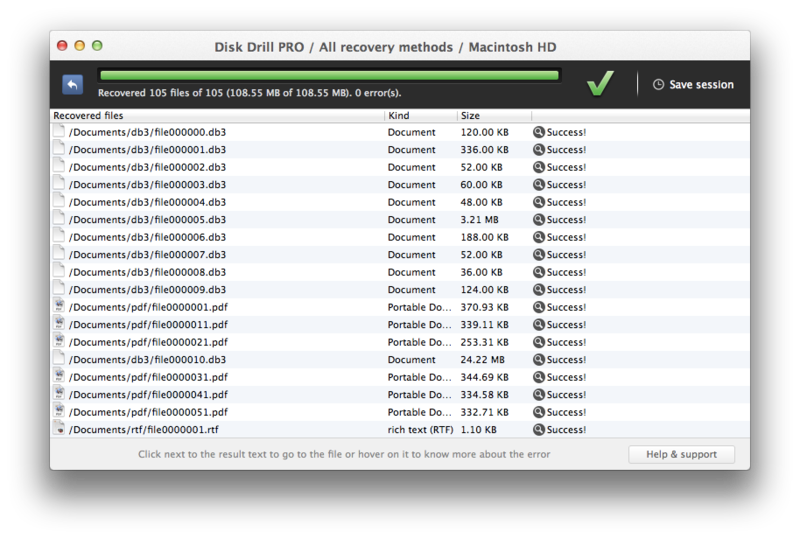 Disk Drill is one of the best data recovery software available for Mac. It can do such an amazing things for you, you will be simply amazed. But, not only that it recovers data from your external and removable hard drives. So, now your photos, music or videos will be safe forever. Like I said, This software can scan and recover data from any storage device. Off course this includes internal and external hardrives, USB flash drives, cameras, iPods, Kindles, and memory cards. This is the main feature of Disk Drill. It will find and recover any data from your MAC OS X fast, and it will present you the data very simple. Everything is easy to understand and organized and every file can be previewed. Disk Drill has great protect features as well. Recovery Vault will store and remember every removed file. Guaranteed Recovery will keep and copy any deleted file from your trash, so you can undelete any file even after you empty the trash. S.M.A.R.T warns you if there are any problems on your hardrive, so you can easily prevent any data los. So, that is it. If you want to prevent data loss or recover the data from your Mac simply download and try DiskDrill, you will be satisfied I guarantee you! It is effective, useful and extremely easy to use. It is surely one of my most favorite software solutions of all time. Get it here.